BarCamp (oft uncoference) is gathering of users with public workshops and lectures, their content and progress were developed by participants at the beginning of the meeting and are developed at futher progress. BarCamp used to share ideas, to discuss, for learning and develop and the product of that work can already be seen in part at the end of the event with demonstrating concrete results (eg joint workshop program). BarCamp name is an allusion to a series of events organized by Tim O’Reily, who called FooCamp. Selected individuals (friends of O’Reilly) would meet for mutal exchange of experience, and would stay and spend the night (camping). Participants in FooCamp could only come at the invitation of the O’Reilly’s. At BarCamp is coming without an invitation, and everyone can participate. The first BarCamp was held in Palo Alto (CA) of 19-21. August 2005 in the premises of the company Socialtex and was organized in less then a week, from concept to the event. On it was attended by about 200 people. After that’s BarCamp are organized over 350 cities around the world, North America, South America, Africa, Europe, the Middle East, Australia and Asia. To mark the first anniversary of BarCamp, a BarCampEarth held simultaneosly at several locations in the world from 25-27. August 2006. Marking the second anniversary, BarCampBlock was held in Palo Alto at the original location within a radius of more than three blocks of 18-19. August 2007, and it was attended by over 800 people. The largest recorded BarCamp took place in February 2011 with over 4700 registered participants in Yangon, the Myanmar (Burma). Previous year (January 2010) BarCamp Yangon attracted over 2700 participants (registered participants). LUGoNS first BarCamp will be held on Saturday o1. December in Novi Sad at Aurora hotel starting from 12.00 last until about 20.00 hours. The sole aim of this first meeting is to awaken a sleeping community and return to the dynamics of events in Novi Sad. All communities in the region are more than welcome. We hope that we will be in large numbers. On this occasion, once more, we invite you to magnify our set with your presence, so we can socialize, share knowledge, make new friends and expand ours horizons. – Workshop: Learn to crimp (the crimpting process by which the end of the line or network cable installed special connectors). – Discussion: How to animate people to participate more actively in the community and communicate more with each other? This entry was posted in BalCCon 2k13 on December 7, 2012 by Icy_blue. 15. septembar proglašen je Danom Slobode tačnije Danom Slobodnog Softvera koji se obeležava širom planete svake godine na razne načine. Ove godine LUGoNS, naše najveće i najstarije udruženje korisnika Slobodnog softvera rešio je da ovaj dan obeleži sa svima Vama koji želite da saznate, naučite i podelite znanje o Slobodi. Bićemo na Miletićevom trgu u prepoznatljivim LUGoNS majicama. Postojimo preko 10 godina u toku kojih smo strpljivo i uporno svima koje je to zanimalo prenosili svoje znanje i iskustvo o Slobodnom softveru i pomagali u daljem učenju i napredovanju. Danas su to naše kolege koje uspešto rade u IT oblasti i ponosni su korisnici Slobodnog softvera. Nama je Slobodan softver poznat i rado korišten termin. Za Vas koji možda niste čuli ili bar niste dovoljno čuli, Slobodan softver (engl. Free software) definisan od strane Free Software fondacije, je softver koji se može koristiti, kopirati, menjati, redistribuirati bez ikakvih restrikcija. Potpuno besplatno! Mislite da je to nemoguće? Slobodan softver ukazuje na SLOBODU korisnika da pokreće, presnimava, distribuira, proučava, menja i poboljšava softver. U svetu postoji veliki broj zajednica i pojedinaca koji se bave Slobodnim softverom tako što uče iz njega i potom novostečena znanja pretaču u njega i daju ga svima ostalima na korišćenje. Zajednice, kao što je LUGoNS naučene da dele, da kroz zajedničko interesovanje stiču kolege i prijatelje. LUGoNS je pre svega jedna obrazovna ustanova, a potom skupina veselih ljudi raspoloženih za dobru zabavu. Možda vam se čini da ovaj tekst zvuči previše dobro, ako je tako budite slobodni pa proverite šta piše na https://lugons.org kao i https://events.lugons.org Ukoliko ste dovoljno smeli dođite na IRC server irc.freenode.net i potražite sobu #lugons pa nam u lice recite sve što mislite. Radujemo se da se družimo i srećan nam svima Dan Slobode! This entry was posted in BalCCon 2k13 and tagged fsd2012 on September 6, 2012 by Icy_blue. 15th September is the world known day as Free Software Day. It is celebrated around the world in many different ways. This year LUGoNS, our biggest and oldest community of Linux users, will celebrate this day with all of You interested in Free software and willing to find out more and learn about Freedom and Free software at Miletićev square in Novi Sad. We’ll be dressed out in our well known LUGoNS shirts. In more than 10 years we have patiently and persistently shared our knowledge and experience about Free software, giving our help to everybody willing to learn and progress in domain of Free software. Today, those are our successful colleagues in IT domain and proud users of Free software. To us, Free software is well known term. Many of you did not hear or did not hear enough about it. Free software, defined by Free Software foundation, is software which can be used, copied, changed, redistributed without any restrictions. Completely free! If you have any doubts please visit https://lugons.org or https://events.lugons.org or if you are courage enough visit IRC server on irc.freenode.net, room #lugons and feel free to tell us all you think about. We are happy to share time with You and wish to all of us happy Freedom Day! On Friday 6th June 2012. LUGoNS board meeting was held. The main reason was evaluation of previous work on the BalCCon project. We are very pleased how the project develops. Once again we discussed important issues and only thing left to do is to hand over the project to financial organizations for review. This entry was posted in BalCCon 2k13 and tagged balccon on July 19, 2012 by Icy_blue. U petak 06. Jula 2012 godine održan je sastanak upravnog odbora LUGoNSa povodom evaluacije rada na BalCCon projektu. Izloženi su predviđeni i ostvareni ciljevi. Ishod sastanka je zadovoljstvo svih prisutnih na dosada postignutom, kao i realizovanim planovima povodom pisanja samog projekta. Izvesno je da kongres poprima konkretne smernice i da je plan rada za naredni period usmeren na pisanje projekta i apliciranje kod raznoraznih finansijskih fondova. Rezimirani su dosadašnji potvrđeni saradnici i partneri za koje je osmišljen plan rada u skoroj budućnosti. Da.. žurka posle sastanka je kao i uvek do sada bila izuzetno uspešna i nazvana je još jednim Warmupom u nizu koji se jednako razvija sa projektom. This entry was posted in BalCCon 2k13 and tagged balccon on July 11, 2012 by Icy_blue. 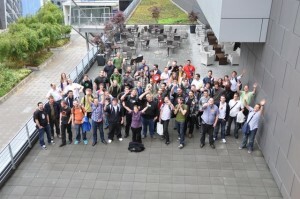 This entry was posted in BalCCon 2k13 and tagged dors-cluc on May 29, 2012 by Icy_blue. On Wednesday 23rd May 2012 representatives of the LUGoNS were held presentation of Balkan Computer Congress – BalCCon at the DORS/CLUC conference in Zagreb, Croatia. They presented ideas, goals and plan for further actions about BalCCon. Extremely good response assured us that BalCCon should be happen, and that we are on the right way. We have meet many members of the HR communities, first of all, our friendly community the HULK. We have arranged gatherings where we will talk about all other actions with all interests. Kada: 06. – 09. april 2012. Prvo zvanično internacionalno predstavljanje BalCCon projekta održano je za Uskrs na Easterhegg-u 2012 u Bazelu. Lightning talk trajao je desetak minuta i držali su ga milobit i zxy na Nemačkom jeziku. Tokom prezentacije istaknuto je da je BalCCon prvi hakerski kongres za region balkana. Iako postoje interesne grupe, još uvek ne postoji ništa slično. Kako smo postali jedna sazrela zajednica želimo da omogućimo svima koji nisu u mogućnosti da posećuju takve kongrese u USA ili Evropi, najćešće zbog finansijske situacije, da imaju jedan takav kongres u svom “komšiluku”. Kongres gde će moći da čuju novosti, upoznaju se sa ljudima iz zajednica regiona, razmene iskustva, znanja. Akcenat je na regionalnom okupljanju zajednica, jačanju tih zajednica. Kongres je planiran za početak septembra 2013. a mesto održavanja Novi Sad. Očekujemo okupljanje velikog broja zajednica sa naših prostora a i šire, tako da će druženje biti internacionalno, hakerisanje, igranje, učenje, umrežavanje i naravno žurke. Naši predavači su veoma zadovoljni odzivom i interesovanjem ljudi za prezentaciju BalCCon-a. Upoznali su dosta novih ljudi i ostvarili mnoge kontakte. Svima se jako dopada naša ideja i svi žele da je podrže. This entry was posted in BalCCon 2k13 on April 16, 2012 by Icy_blue. The first international presentation BalCCon projects was held at the Easterhegg 2012 congress in Basel, Switzerland. milobit and zxy were the speakers for lighting talk which lasted 10 minutes. Spoken language: German. BalCCon is a first Balcan hackers congress. Although there is a huge number of people interested in that activity, there is no similar manifestation in our region. As a grown-up community, we are willing to organize this kind of event, to all the people who have no financial support to visit American or European congresses. We see it as a great opportunity to meat people with similar interests, to share knowledge and experience and all of that at our neighborhood. Our goal is to gather and link as many communities as possible to make solid base for further projects. Congress is planned for September 2013. 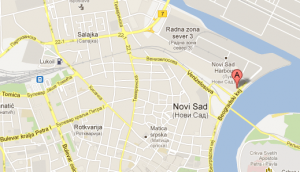 Location: Novi Sad, official language: English. We are planning a huge international gathering of communities and free lensers with a lot of opportunities for hacking, gaming, learning, networking and of course partying. Our speakers are very satisfied with the response and interest in people for a BalCCon presentation. They have met a lot of new people and made a many contacts. Everybody really liked our idea, and they are all willing to support it. The first international BalCCon presentation.